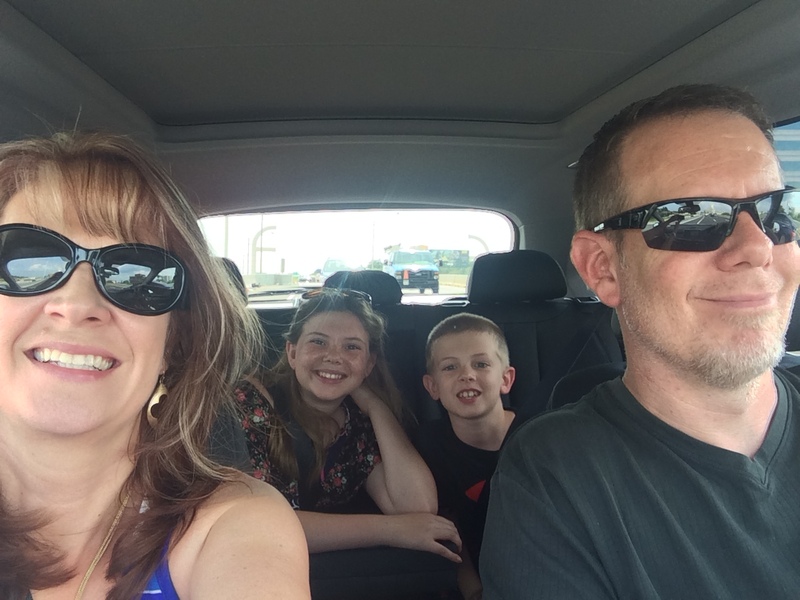 Every summer we plan a family vacation. Sometimes they are more along the lines of a “stay-cation” and sometimes they are a full on travel-agent like planned event. This year we were met with a dilemma. This July was our 20th anniversary. Eric and I usually take a “big” trip every 5 years for our anniversary. We also wanted to take the kids on an adventure too. Time off and money dictated we couldn’t do both separately. So here we are now. 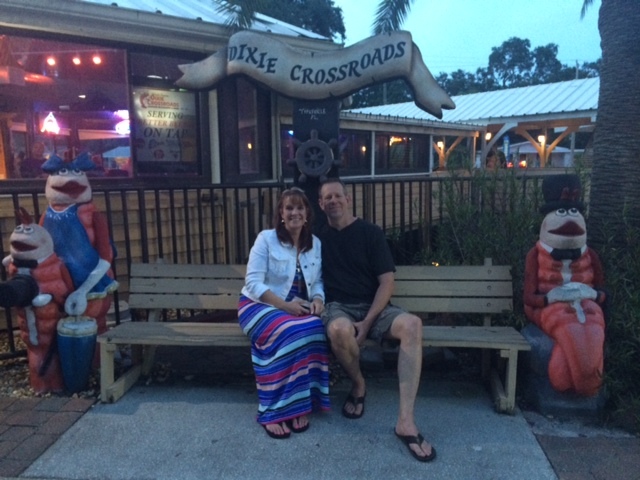 Taking a trip together and celebrating 20 years of marriage. The plane tickets were bought, lodging reservations made, car rental reserved and Pinterest packing list downloaded. With 4 carry-on wheeled bags in tow, backpack for each of us and a large suitcase full of vacation necessities we were ready to go. 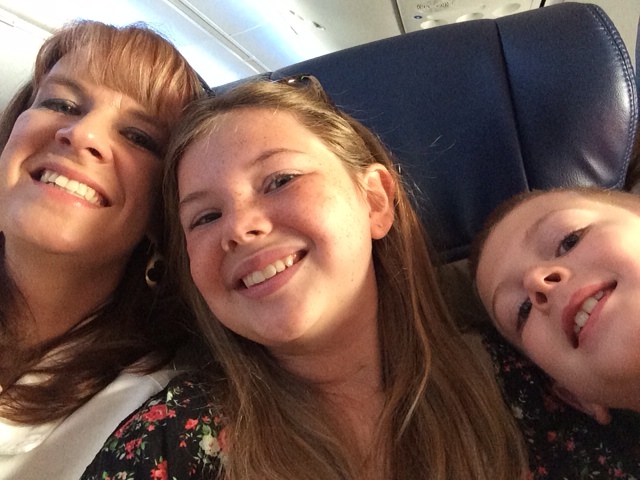 We flew Southwest, which is always a great experience… especially if you upgrade to the Early Check-in Status! 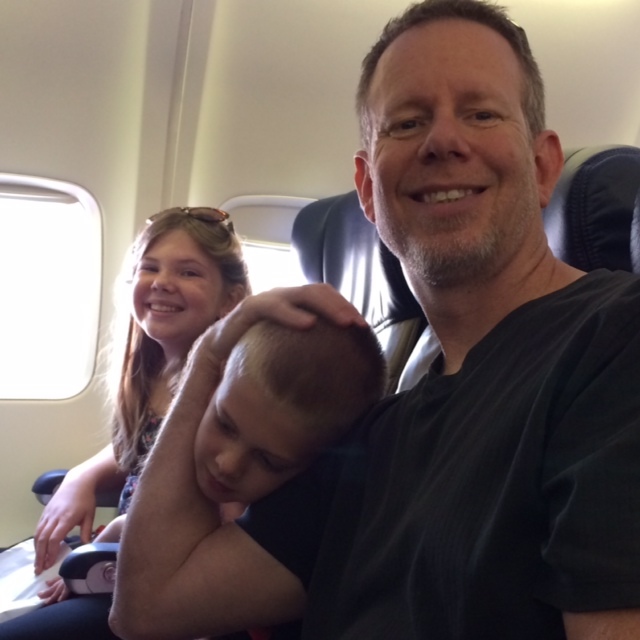 We left from Dallas-Love Field with a lay over in Houston on our way to Tampa, Florida. It wasn’t long before our adventures began. 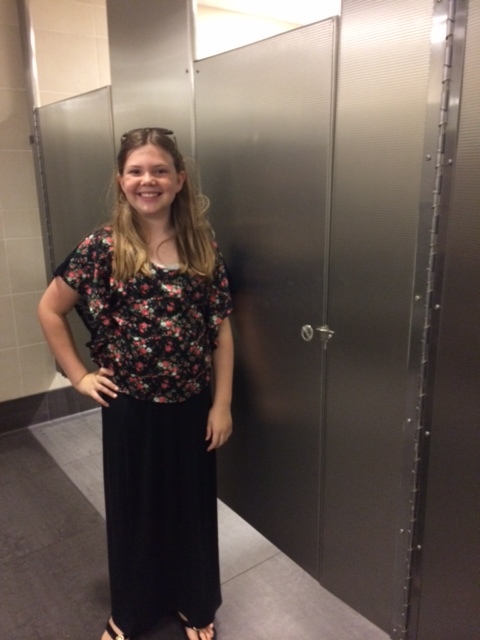 While in Houston waiting for our connecting flight Emmarie and I made a stop at the ladies room. After a lengthy wait for Emmarie who did not exit from the stall, I went to check on her. Evidently her stall door stuck and she could not get out. Luckilly she’s 11 and can make her way under a bathroom stall door! To commemorate the event we took a snapshot of her with the stubborn stall door. The trip continued. One of the sweetest things about my kids is the way they interact and play with one another. Today’s plane ride was no exception. 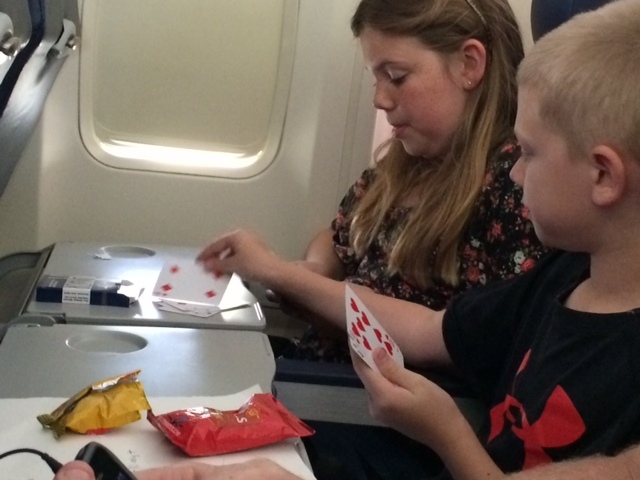 Instead of being consumed with their own devices they opted to play card games to pass the time. Not once was there a disagreement over the rules or accusations of cheating. Made this mama’s heart proud (and secretly happy I packed the deck of cards)! The adventure continued. Upon completing our paperwork for the rental car we went to retrieve it. Somehow we managed to get lost… IN THE AIRPORT! 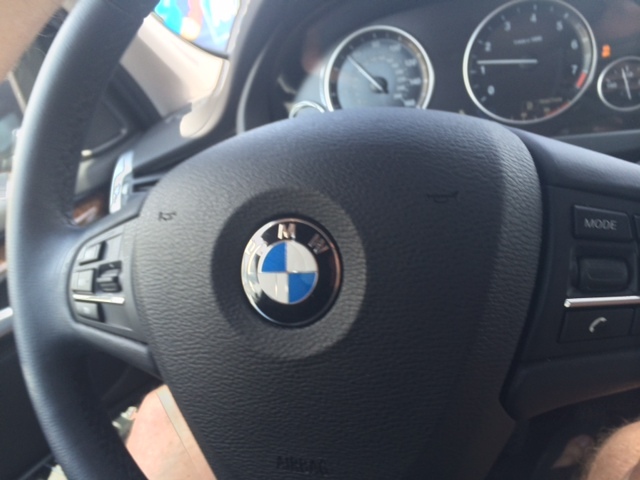 All was not lost, the car rental agency did not have the Explorer we had upgraded to, so in it’s place the only option was a 2015 BMW X5! Who knew it was Christmas in July!?!?!? 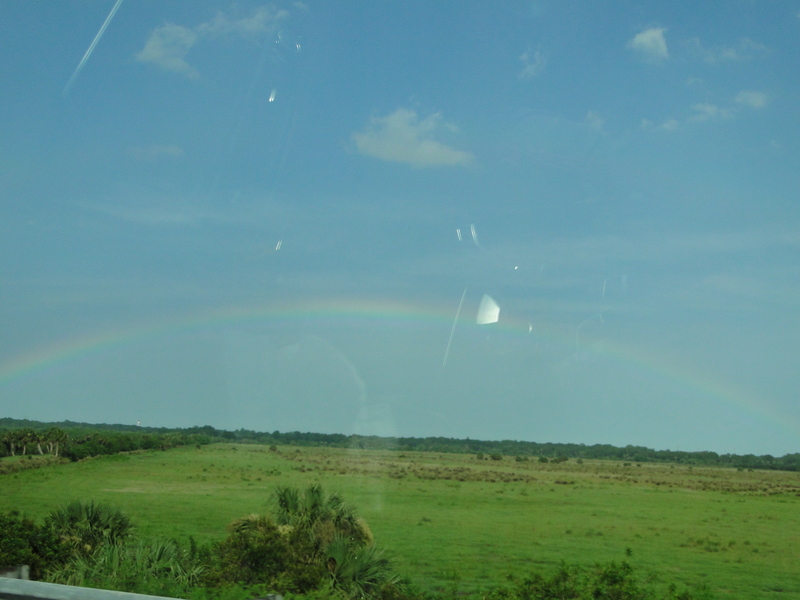 There were a few more mishaps along the way as we drove from Tampa to Titusville. To protect the innocent I will just let the readers know it is a very good thing to have leather seats and ziploc baggies when one is on vacation. While there were some hiccups, the drive was enjoyable. It was especially enjoyable when an afternoon heating shower treated us to a full rainbow. 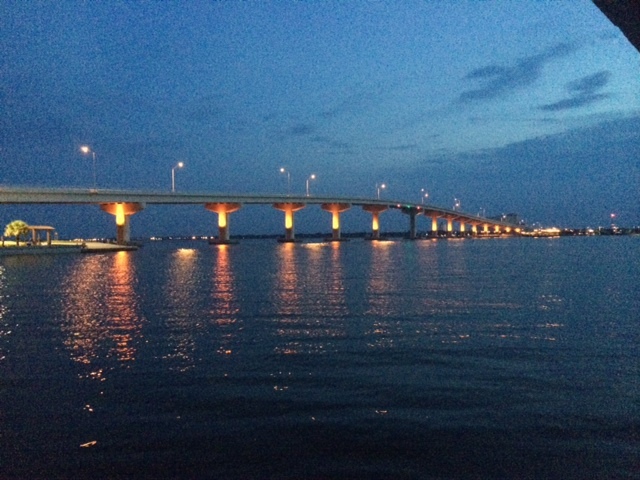 By the time we arrived in Titusville it was time for dinner. As I have done on many other vacations I used the Urban Spoon app on my iPhone to help choose a local restaurant. 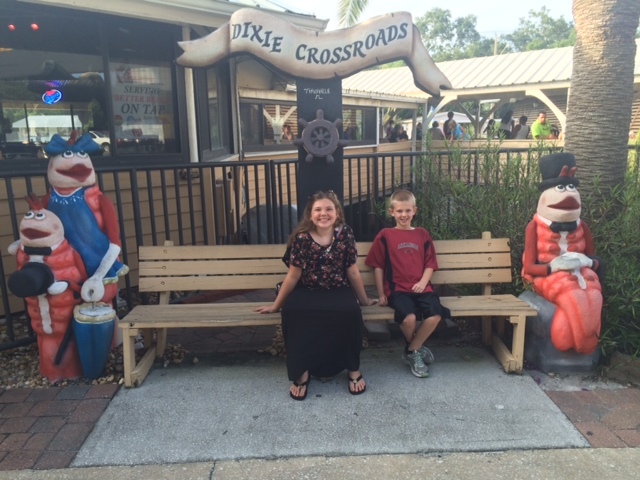 The app led us to Dixie Crossroads Seafood Restaurant. The restaurant is surrounded by water and while you wait to be seated customers can see close to 3 dozen red-eared slider water turtles of various sizes actively swimming, a surprisingly large soft-shell turtle, multitudes of tilapia and one lone bright pure orange koi fish. The meal was decent in taste and price. I do think the Wilson family prefers their seafood with a Cajun flair and that may have skewed our opinion. Following dinner we drove out to a barrier island, where, to our surprise about a dozen cats were hanging about, perhaps to feast off the fisherman’s throw backs. It is so good to be on the trip and ready to embrace the adventures of the upcoming week as a family and as a couple. Stay tuned as more posts will follow sharing the much anticipated adventures this week will bring. Great documenting. Thanks for sharing.